When a party initiates communication with another party using a professional letter, and the receiver responds in the same manner, a correspondence has been established. This method of communication is particularly recurrent in the corporate world wherein the entities involved seek a much more professional and formal way of interacting in exchange for physical articulation. Businesses utilize letters to exchange ideas or information, and to communicate with investors, clients, customers, and their suppliers. Basically, correspondence letters are a great way for two involved parties to keep an active line of communication when it is not always possible for them to meet in person. It also makes carrying out a business transaction possible for both international and local audience since distance will no longer be an issue thanks to the aid of letters. You may also see official statement letter format examples. 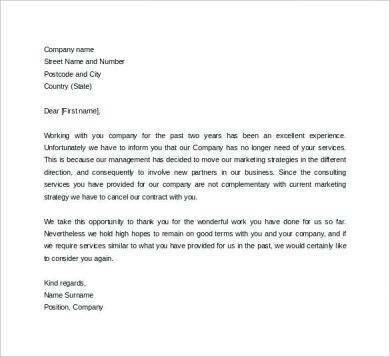 Letters also pave the way for stronger relationships between businesses and their clients. By being readily available for complaints and suggestions sent through letters, customers can easily express their thoughts about the products or service, and the business can easily respond to them positively. This can result in a cordial relationship between those who are involved. You may also like official letter for leave examples. What Are the Objectives of Official Correspondence Letters? The main objective of every correspondence letter is to create a reputable image of being friendly and responsive. It is a tool—a bridge—that helps a business reach out, whether locally or internationally, to create goodwill with its different relationships. You may also see official letter writing examples. These letters are also a helpful means of keeping records or references for every previous transaction that has been made through corresponding with formal letters. Since tracking every single one of your business’s transaction can be quite a handful, having these reliable references for future use can be useful. Correspondence letters are a great medium of communication between a business and another external entity. Phone calls, emails, and text messages are often too impersonal and unprofessional to do a successful job in some cases. This is where a business can rely on a correspondence letter to do the job. You may also like official resignation letter examples. A correspondence letter also acts as the business’s agent since it can carry the firm’s brand and message toward its recipients the same way a human representative can. A correspondence letter can play the role of an evidence and a written (informal yet binding) commitment between two parties. There are four necessary parts to every correspondence letter: the heading, the salutation, the body, and the signature. Sometimes, when applicable, it comes with a fifth one which is known as enclosures. To understand these parts, here is a discussion to help you get started in creating your own letter. You may also see writing an official letter examples. The heading for an official letter contains two things: your address plus the date, and your recipient’s address. Your address should be written on the upper right-hand corner of the paper. Under it should be the date. In the United States, people use the MONTH DAY YEAR format (August 7, 2018). While in Europe, they write using the DAY MONTH YEAR format (7 August 2018). The second part of your heading will contain your recipient’s complete name and title, the name of the organization he is a part of, followed by his address. The body of an official correspondence letter is as brief as possible. It doesn’t leave any room for niceties, aside from a short hello, and skips right to the point. The letter’s first paragraph goes straight to stating the purpose why the simple letter has been written. Are you writing to complain? Are you writing to respond to a previous letter? Are you writing, perhaps, to apply for a job? The second paragraph will include details in support of the first paragraph. It will elaborate on the issue you have opened up about. For example, you are writing in response to a previous letter. Your second paragraph should expound on that. What is your response to the previous correspondence? What other important detail would you care for your recipient to know about? 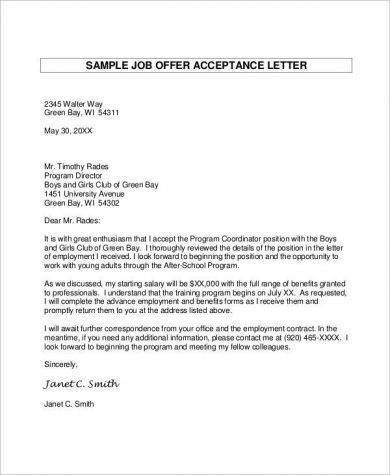 You may also like official cover letter examples. Once you have sufficiently related all the things you need to say in your letter that are relevant to the matter at hand, you can start your closing body paragraph where you can recapitulate your letter’s main point and express your gratitude to your recipient for taking the time to read your letter and suggest a step you both can take regarding the issue. You may also check out official meeting letter examples. The opposite of your salutation will be your signature. This is a phrase that you state at the end of your letter as a way of respectfully saying goodbye to your recipient. Sincerely, Respectfully, Regards, and With Appreciation are some of the most common signature phrases that correspondence letters use. 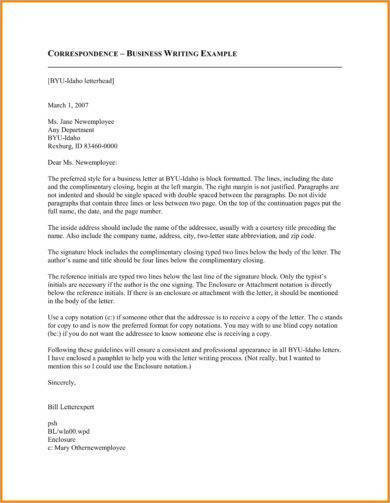 You might be interested in official cover letter examples. This is often an extra part that only general letters with an extra document sent along with them contain. If you have sent a cover letter, another document, even a resume, or anything other than your letter in your envelope to your recipient, it’s a good idea to write Enclosure after your name for them to be aware that there is an extra form they need to look for. The inner qualities of a correspondence letter refer to the way the content has been presented. This may include the language that has been utilized, the way the details in the letter’s body was arranged, and the general tone that was used in writing. A good correspondence letter is never verbose. Instead, it uses a simple and easy language that every common man can comprehend. Difficult words and jargon are highly discouraged in this type of correspondence because the writer can’t expect the letter’s recipient to refer to the dictionary for every complex word used. Flowery words, metaphors, exaggeration, and anything that may alter the facts of the letter in any way must be avoided. You may also see official letter for change of address examples. One of the most important qualities that a correspondence letter must contain is clarity. This refers to the letter’s general ability to be immediately and easily comprehensible to its audience. 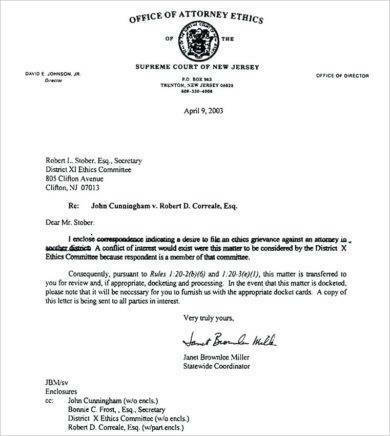 The letter will be deemed unsuccessful in serving its purpose if its recipient doesn’t fully understand its content. Ambiguity is a major taboo in correspondence letters. There should be a full disclosure of details that the audience can understand, and even respond to in the future. You may also like official resignation letter examples. Accuracy refers to the letter’s ability to lack errors in language, grammar, spelling, and punctuation. This attribute is often a reflection of the extent of the sender’s knowledge, and will be highly appreciated by its audience. A letter will only be considered complete if it has successfully provided all of the necessary information to its recipients. Even the tiniest aspect that is relevant to the transaction must be stated in the letter to fully equip its recipient with thorough knowledge about the proceedings. 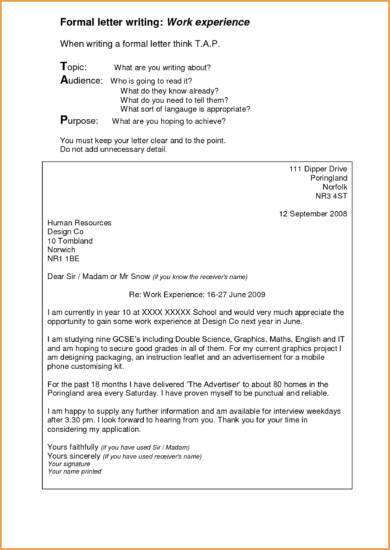 You may also check out official job application letter examples. The letter should only contain information that is relevant to the present arrangement, and those that the letter’s receiver will care to know about. Correspondence letters are known for their bluntness. They don’t sway from the main matter at hand and never talk about issues that may not be necessary for the present undertaking. You might be interested in official medical leave letter examples. Especially in written correspondence wherein words and tone can be easily misinterpreted by the reader, courtesy must be observed more strictly. Otherwise, you may unconsciously create a conflict between you and your recipient simply because they have misread your intentions. By never forgetting to include words like please and thank you, you are winning the hearts of your letter’s audience while easily avoiding misunderstandings of any sort. You may also see thank-you letter examples. Everybody appreciates a letter that is pleasing to look at, so make sure that yours has the same quality. Correspondence letters must never be handwritten, which means that neatness is easier to achieve because your letter will be computer generated. Avoid overwriting and other unnecessary elements in the physical appearance of your letter. You may also like acceptance letter examples. Speaking of physical appearance, since we have already discussed the internal qualities that a good correspondence letter possesses, let us proceed to address the external qualities acquire to be considered presentable and professional. The external qualities of a good correspondence letter criticizes the general appearance of the document. This may include the type of paper used in writing, the quality of that paper, its color, its size, and other elements that may contribute to the overall look that the letter will take. You may also see how to write a verification letter examples. Paper, as common and ordinary-looking as it is, can actually be pretty expensive, especially since you don’t want to use the cheap, yellowish, flimsy kind for corresponding with people who are important to your business. Even the act of choosing the best quality paper, you are showing your customers and co-businessmen that you care enough about the communication to purchase good paper for it. The type of paper you utilize can speak equally about the economic status of your firm, and its scrupulous attention to detail, which means you must use it to your advantage to create a favorable impression upon your audience. 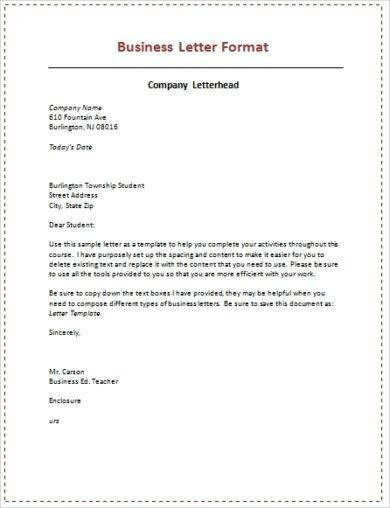 You may also like business formal letter examples. There is no rule about limiting the color of the papers you use for your letters to white, although it is indeed the most common. This is because the color white effortlessly gives the impression of elegance and class. However, using different colors for certain transactions can make identifying the type of letter more quickly. The paper color your business uses is completely up to you. As long as it doesn’t reach the point wherein the color becomes a distraction from the letter’s true purpose. 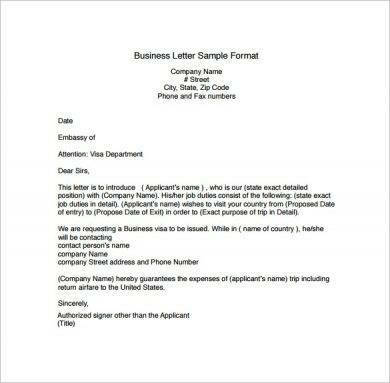 You may also check out business reference letter examples. Correspondence letters must observe the standard size (A4) for writing. Otherwise, your letter may look too informal or inappropriate. Correspondence letters are not big on design or being fashionable, so it is pointless to try to be creative with your letter size. On the contrary, this type of letters is all about rigid formality and professionalism, which can all be acquired by strictly following the rules of letter writing. This may be an act that you have come to overlook, and who can blame you? There is nothing difficult or complicated about folding a piece of paper. However, correspondence letters must be folded properly and uniformly. If perfection can be achieved in the boring act of folding a letter, then aim for that. The letter should be carefully folded so that it will perfectly fit the envelope, and that no creases are visible in the folds. You might be interested in cover letter examples. The general rule to which your letter’s envelope is subjected to is that the size and the quality of the envelope should fit your letter’s size and type of paper. There are different types of envelopes that businesses often utilize. There’s the ordinary envelope, white and plain; the window envelope, where you won’t have to write the recipient’s address on the back since it will be clearly visible through the transparent part on the envelope’s outward space; and the laminated envelope which includes a thin plastic sheet or cloth pasted on the envelope’s inner side to give it extra protection from damage, to name a few. You may also see complaint letter examples. Understanding the parts, importance, and qualities of a good correspondence letter helps its writer make better use of this efficient tool. In any field, but especially in the business world where the importance of communication and correspondence is doubly heightened, knowing how to write a letter is an indispensable piece of knowledge. You may also like simple appointment letter examples.